Joe Chair by MIDJ in Italy Furniture. 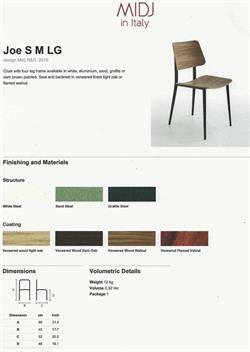 Use MIDJ Joe Chair as a dining chair, restaurant chair, side chair for home, office, restaurant and hospitality furniture settings. 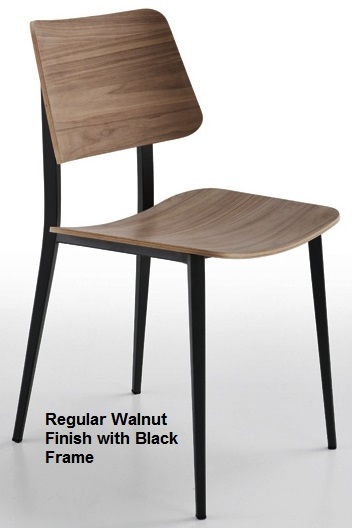 Beautiful wood seat and back finish makes this an elegant Italian chair design with timeless styling for modern homes, offices, restaurants and hotels. Call or email to receive pdf of colors for FINISH OPTIONS on MIDJ chairs and tables. MIDJ in Italy is a company in the Friuli region that produces, entirely in Italy, chairs, stools and tables featuring top Italian furniture design with high quality materials. Since 1988, MIDJ in Italy has collaborated with internationally known architects, famous politicians and cultural experts like Minister Renato Brunetta, the Art Master Giorgio Celiberti and the Designer Walter Hosel. 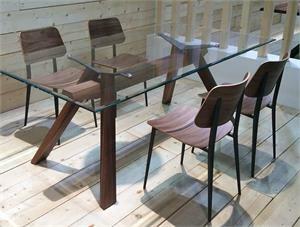 Pair MIDJ dining chairs and side chairs with MIDJ modern dining tables, end tables and side tables. MIDJ manufactures glass top dining tables, wood top dining tables, conference room tables and more in their factory in the Friuli region of Italy. MIDJ in Italy Furniture Company likes to be associated with the famous faces of Italy and has been the perfect partner for TV stars. MIDJ furniture products decorate daily the locations of several TV programs. 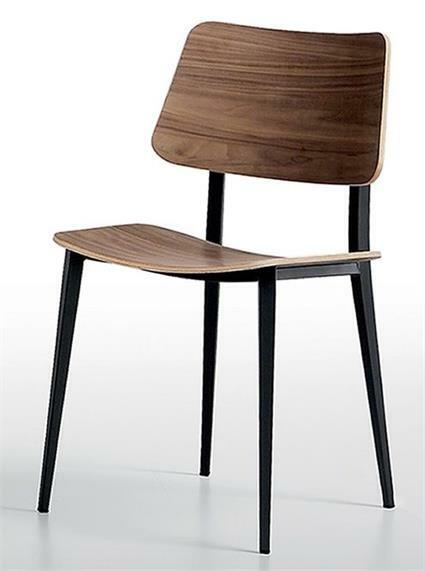 Midj chairs were featured on the stage of Sanremo 2010, 2011, 2012 and backstage of Sanremo 2013; also Midj in Italy furniture is used by prestigious guests of RAI and MEDIASET sport programs. 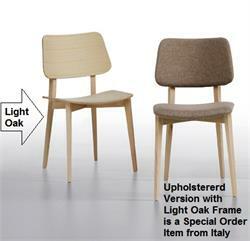 MIDJ in Italy furniture can be found in the finest hotels and restaurants such as Sea One Hotel in Tel Aviv, Park Inn by Radisson in Budapest, Relax at Hotel Intercontinental in Frankfurt, Le Petit Papillon in Cuneo and the Caffe Duomo in Livorno. 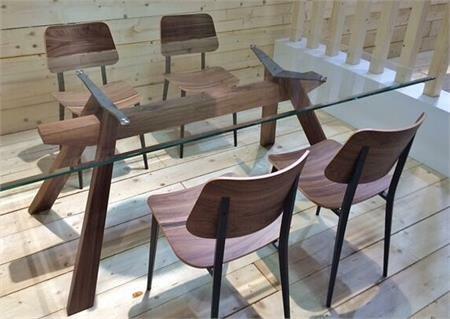 Collaborating with internationally known designers possessing modern furniture creativity and experience, MIDJ in Italy Furniture creates new furniture designs by using refined materials and ergonomic design concepts. These furniture design synergies ensure that MIDJ in Italy produces modern Italian furniture with stylish proportions, exciting colors, comfortable ergonomics and beautiful style with everlasting design concepts. Since 2002, Accurato Furniture Store has been a leading USA retailer of fine international furniture brands such as MIDJ in Italy Furniture Company. Our clients LOVE our fanatical customer service!